Discover the Best Affiliate Programs! Affiliate Watch is a website that lists the best affiliate programs along with detailed analytics and statistics of each affiliate program. There is also a forum, a video blog and a place to submit new affiliate programs not yet listed on the site. Get Ahead Of The Curve With Affiliate.Watch And Up Your Earnings! Would you recommend AffiliateWatch to a friend? @affiliatewatch1 Sure thing Tyler! Was doing some affiliate research and stumbled upon your site! Fresh look and concept for finding best affiliate programs. I like being able to see the statistics on different programs etc. @nickchuckwalter Hey Nick! Thanks man. We have 14 hosting companies listed, more coming soon. 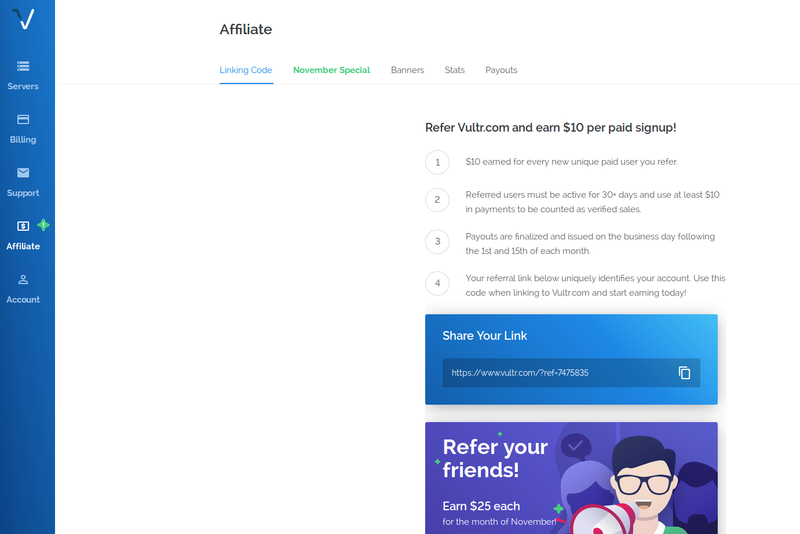 https://affiliate.watch/category... . Siteground and bluehost pay very well and are good recommendations. For more tech savy people, DigitalOcean and Vultr are good choices. And Vultr does have an affiliate program, I login it every day! They do not advertise it on their footer anymore, once your logged in its on the left menu. And Vultr increased the earnings by 2.5x this month for affiliates! @affiliatewatch1 hmmm, cause I used to be but they stopped offering any kind of deal with it like people who sign up under your code get $10 off. Do they have something like that now?